The ship shook, a low, constant rumble that he could feel in the base of his gut. The vibrations were light, but still there. They scared him. His hands grasped the arm-rests at his sides in a panic, knuckles whitening, a dull pain telling him he should release his grip. He couldn’t though, couldn’t force himself to release the rests, couldn’t force himself to pry his fingers from their vice-grip. They felt like safety to him, a connection to something solid. They felt like his last, desperate, tenuous hold on reality and the world beneath him. The ship continued to shake as a voice came to life in staticked bursts over the intercom, staccato noise that was hardly understandable, but still human. Still another connection, another flimsy piece of reality he could grasp at with every part of his being. Ten. Seconds or minutes, he didn’t know. He hoped it was the latter. Seconds or minutes, either would feel like a lifetime, the way the ship was shaking, but he’d take a longer lifetime anyday. If only he wasn’t on this ship he might still have that opportunity, that chance to keep living. He was going to die, he knew it. The shaking, the occasional, barely audible, coughs of the engine…something was wrong. ‘sssssshhhhhhss’ the intercom announced its continued existence with more static. ‘sssshhhhh fivesssshhhhh’ a countdown. Already. It was seconds, afterall. Five seconds now, five seconds and he would be…he couldn’t even think the words. Four and three passed quickly, if seconds can be measured in years. ‘sssshhhhh One ssshhhss’ the intercom hissed, and time seemed to stop. He felt it first just beneath his throat, the engines putting out full power at the last instant. The shaking doubled, trebled, it was all wrong, wrong wrong wrong. The forces of gravity were acting on him, he could feel them, feel them pulling him in the opposite direction of the ship. His body was protesting, ears popping, stomach turning, every cell of him clamoring against what he was doing, clamoring against the certain doom he knew was coming. He was so focused, so concentrated on the feeling of the ship, on the forces he felt pulling him apart, that he hardly noticed the angel walking towards him, only looking up at her when she stopped at his side. She was an angel, robed in white. Slim, perfectly curled blonde hair falling lightly on her shoulders, full red lips, a white uniform that positively glistened. She reached towards him, put one soft, warm hand on his shoulder, the other on one of his hands, still clenched tightly to the arm-rests at his side. 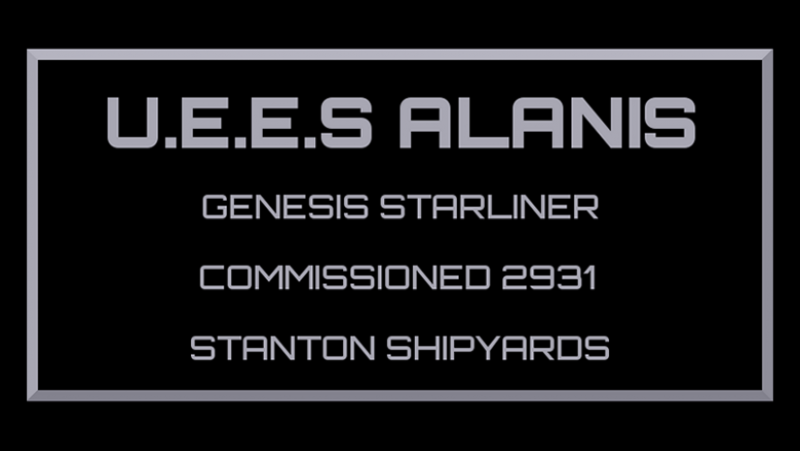 ‘Welcome to StarLane Spaceway, sir,’ her voice and hands a nimbus of comfort in a world of panic and chaos, ‘Welcome to the U.E.E.S. Alanis’. She smiled at him, then turned and moved further down the aisle, her fingers brushing lightly over his arm as she left. He turned in his seat and watched as she walked down the aisle, talking quickly with other passengers, a goddess among mortals. His fingers had relaxed without his noticing, released their death-hold on the arm-rests. He felt safe. With a goddess like her on board, nothing could go wrong. He was just getting used to the noise, to the vibrations of the engines, when they stopped completely. His stomach hit the roof of his mouth as gravity reasserted itself on the ship, and then they were falling, falling, falling. The screams, the screams came immediately. He saw the goddess float past screaming and flailing as the ship started to spin. Her head smacked hard against the roof of the ship, and rivulets of blood poured into the cabin, windmilling as the ship spun. Her dress wasn’t so pure anymore. Even a goddess could bleed, it seemed. He should have been panicked, puking or praying like the rest of the passengers. But he was calm. His first flight. He’d always been scared of space, scared of crashing, dying, and now, heading back at speed towards the earth he’d always called home, he couldn’t help but smile at the irony. As the ship spun wildly out of control, as the ground inevitably came nearer; as death inevitably came nearer, he could only think.